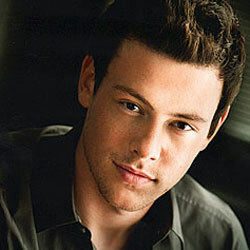 Cory Monteith (born 11 May 1982 in Calgary, Alberta, Canada), was a Canadian actor. He starred in the movies Monte Carlo and Sisters & Brothers, and is known for his role as Finn Hudson on the Fox TV series Glee. Monteith dated Glee co-star Lea Michele. He passed away 13 July 2013 from a heroin and alcohol overdose. Monteith was part of the OP Back to College clothing campaign with 90210's Trevor Donovan, singer Cassie, Gossip Girl's Jessica Szohr, and Glee co-star Dianna Agron.